A highly productive large format printer which delivers consistent and high quality results. 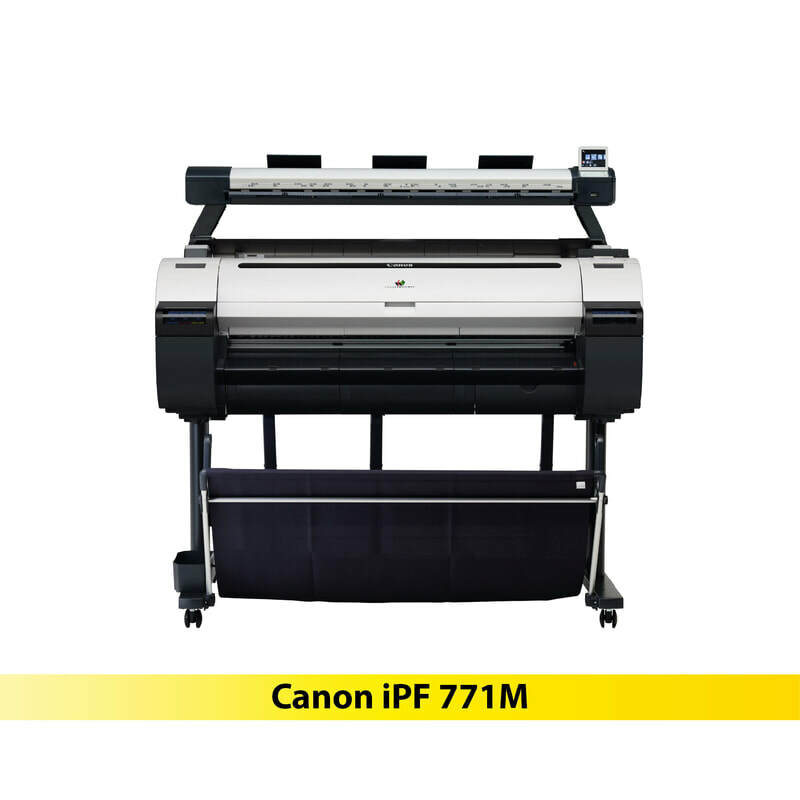 Small, light and easy to use, the iPF671M or iPF771M series scanner is the ideal MFP solution for CAD & GIS. WIth 24″ and 36″ options, they are designed for technical drawings with excellent quality results in the most efficient time. Suitable For: Computer-Aided Design (CAD), Geographic Information System (GIS), Business, Education. Single Sensor with multiple LED illumination for excellent line definition and accuracy. Scan to TIFF, PDF and JPEG up to 1.27m in length.